For years now, companies have been struggling to find a way to keep their fans engaged on social media, and some of them have succeeded in cracking the code. Marketers simply failed to connect their brand proposition to the social media platform and consumer’s need for information, and entertainment. Amul had figured this out decades ago, but very few brands could unravel the mystery of content marketing with such a high degree of engagement. But fortunately there is another Amul amidst us. Taking a cue from the success of Amul, Oreo India has started taking content seriously. For the 101 year old brand, which came to India only in March 2011, Facebook has become a medium to engage, entertain, and inspire its audience with the kind of content which only Amul had created earlier. In a Rs.5500 crore premium cream-biscuit market, making their way in was not very easy, more so because brands of ITC, Parle, and Britannia were already established players in the market. As part of its strategy to Take Leaders Down, or TLD as the brand team called it, the brand team began its brand awareness campaign, keeping togetherness as the core of the message. Taking its core strategy of rapid brand awareness to another level, Oreo India has launched a social media campaign led by Facebook, and it is is one of the fastest growing Facebook pages in the world, as business today pointed out. The brand should be considered an example in the way it used Facebook to spread interesting content. 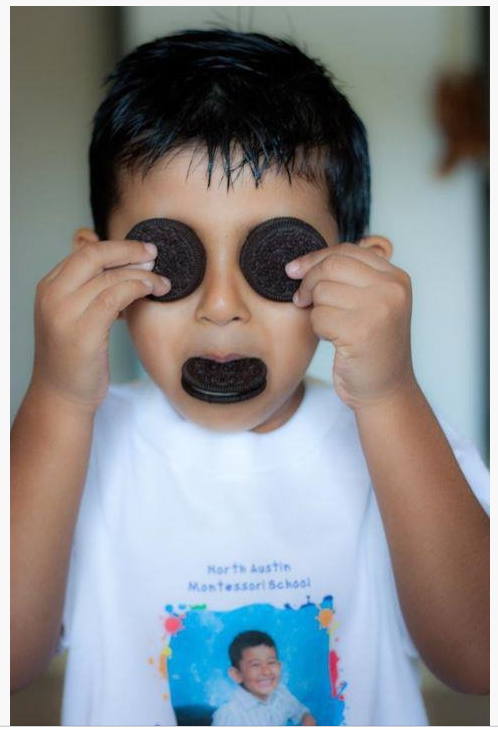 Oreo India’s Facebook page has taken its cue from Amul’s print campaign and created content units which connect the brand with an important event of the day on which the post is made. 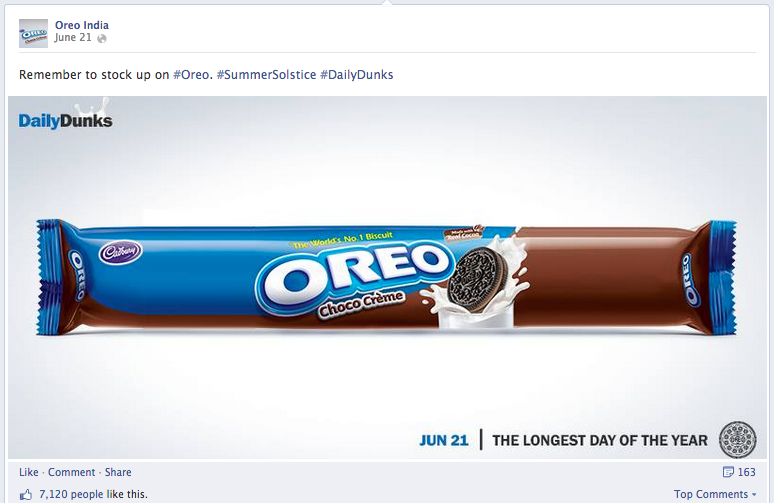 For example, on June 21, it posted a visual update reminding people that it was the longest day of the year, an obvious fact that seems to pass the grownups, and to connect it with the brand, it used a stretched pack of Oreo biscuits as the graphics (see the image below). What’s Unique About Oreo India’s Campaign? The first thing you notice about the posts is the use of the product and its packaging as a visual device to explain the event that it talks about in the post. For example, in the following image, posted on June 06 when Tetris (the famous video game) was released, an Oreo biscuit has been broken into small pieces to resemble Tetris blocks. Another thing that you will notice in the posts is the use of hash tags. 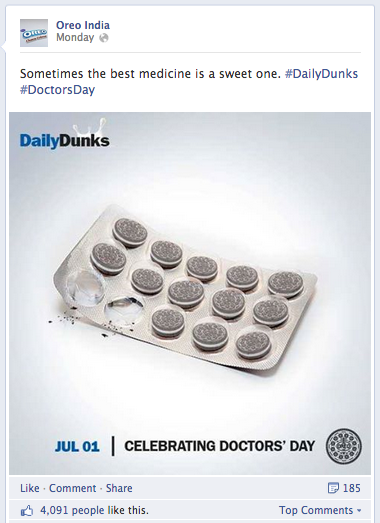 The brand’s hashtag, #DailyDunks, is not the only one being used, but it is also piggybacked on the hashtag relevant for the days. For example, it has used the hashtag #DoctorsDay on July 01 with a relevant image to celebrate Doctor’s Day. The use of these varied hashtags has acted well to amplify its reach. 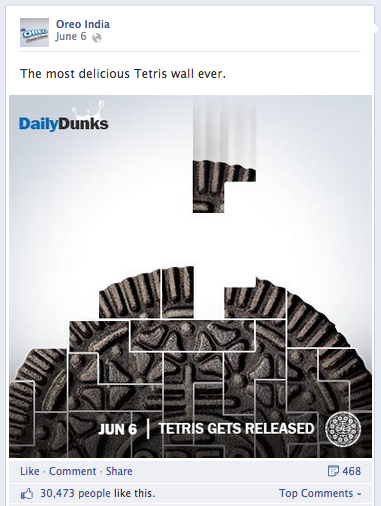 The other thing you will notice is the use of the concept of Daily Dunks to set the frequency of the posts it makes. Contrary to the advice given by almost all social media experts, Oreo India makes just one post on its Facebook Wall in a day, with the exception of some odd days when it makes more than one posts. Facebook is the playground for the brand, but you will find some cool activity on its Pinterest page as well, though there are only 17 followers on Oreo India’s Pinterest page. 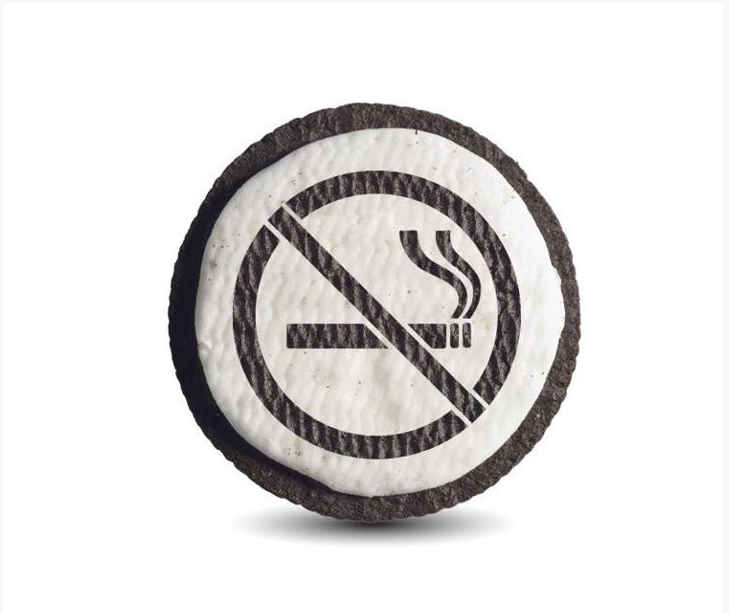 Along with a board for daily dunks, it also has a section on Oreo Art, where you will find some innovative images [see images 1 (Pin titled 007) and 2 (Pin titled No Smoking)]. The page also has a fan upload board, where the brand posts pictures sent by fans (see the third image for an example of the pin titled The Little Cookie Monster!). Oreo India has done a wonderful job with the content work on Facebook as well as on Pinterest, though the number of fans here is too low to make any mark. Its content effort explains why it has one of the fastest growing Facebook pages in the world. But as it often happens, the strength of Oreo India’s content strategy is also its limitation, which is making one post a day. What Are Indian CEOs Doing on Twitter?